How to install License Key? There are three different license key installation processes. The correct process for you depends on which SAP software technology you use. SAP Web AS with ABAP and SAP Basis. Applications that contain the SAP Web Application Server. Digitally encrypted license keys as of WEB AS 7.0. As of an upgrade with Basis Web AS 7.0 (ABAP), you should request and install the new, digitally signed license key. This new, digitally signed license key avoids additional database accesses, thus improving performance. When you make the request, make sure that you request it for the existing system and with the standard license type. You are logged on to the SAP system and are authorized to use this transaction (authorization object S_ADMI_FCD=SLIC). You can use transaction SLICENSE to manage license keys for Release 4.6C in your SAP system. In the SAP menu, choose Administration - System Administration - Administration - SAP Licenses, or enter the transaction code SLICENSE. In this way, you can use all of the functions provided by the saplicense program at operating system level from within the system. 1. You are in the initial screen of transaction SLICENSE. 2. Choose New Licenses to enter the license management of the digitally signed license keys. 4. In the dialog box that is displayed, specify the file to be loaded from the file system. 5. Specify and confirm the license key file. 6. You receive a success message that you must confirm. The new license is displayed under "Installed Licenses". Note: In transaction SLICENSE - New licenses, you can only install license keys with license type Standard and SWPRODUCTNAME=NetWeaver_database (in the license key file). Even if a license key is not yet installed or an existing license key has expired, you can log on as user sap*. You can also work with the temporary license, which is automatically installed after the installation or upgrade. The temporary license key is valid for four weeks. 1. Changes to the hardware configuration of the host that runs the message server. In this case, the hardware key of the host can also change. 2. Transferring the message server to another host. 3. The license key for the production system has expired. When can a temporary license be generated? 1. If a valid license key had been installed within the previous month. If not, the system will issue a message stating that the date of the last successful license check occurred more than a month ago. 2. If the SAP system is set up from a copy of an existing SAP system, you cannot install a temporary license. Before you work with a copied SAP system, request a license key. 1. At operating system level, log on to the host that runs the central SAP instance either as user adm (UNIX and Windows) or OFR (iSeries). 2. Enter saplicense -temp (iSeries: saplicense ' -temp'). When prompted, enter the SAP system ID. The installation process described below is valid as of SAP J2EE Engine 6.30 and for J2EE Engine standalone installations. If you installed SAP Web AS with SAP ABAP and J2EE, then the installation process described in WEB AS ABAP applies to you. You can log on after you install the SAP J2EE Engine because a temporary license has automatically been installed. 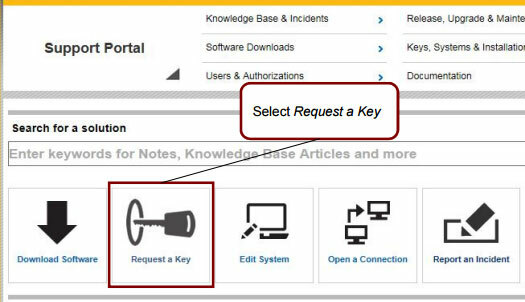 You only have to request a permanent license key from SAP and install it. You installed the SAP J2EE Engine and started the Visual Administrator (VA). 1. Select Visual Administrator Server 0 - Services Licensing Adapter. 2. Save the license key file you received from SAP on your host. 3. In Licensing Adapter in the Visual Administrator, select "Install license from file". 4. Select the license file you received from SAP and choose "Open" to continue. 5. You receive a message that your license was installed successfully. Note: You can only install license keys in the Visual Administrator that have the license type J2EE or portal name or software product name J2EE_database or Portal_database (in the license key file). Select Visual Administrator Server 0 - Services Licensing Adapter. Choose the tab Runtime - General, and then choose "Install subsequent temporary license". This is valid for 28 days. After that, you should install a permanent license key again. You cannot install any further temporary licenses if the expired license was already temporary. A newly installed license becomes effective after you restart the J2EE Engine. This occurs irrespective of whether the license is temporary or permanent. As of SAP NetWeaver '04 Enterprise Portal Support Package Stack 09, the Enterprise Portal no longer requires a separate license key. The portal is installed either on the ABAP stack, or on the J2EE Engine (Java only). See the installation processes described above. The system automatically generates a temporary license key during the WEB AS and Enterprise Portal installation. The license key is valid for four weeks. During this period, you should request your permanent license key from SAP. If you use Enterprise Portal 5.0, you must generate the temporary license key yourself. Log on to the unlicensed Portal 5.0 as an administrator and select System Configuration - License. Select "Install temporary license" and restart the Portal Web Server and the Java servlet engine. 1. Copy the license key file you received from SAP to a directory on your host. 2. Start Visual Administrator and choose Your Server - Services - Licensing Adapter. 3. Select "Install license from file" to download the license key file. Select the license file you received from SAP and choose "Open" to continue. 4. Restart the Portal Web Server SAP Java Engine. 2. Log on to the Portal as an administrator and select System Administration - System Configuration - Portal Licensing. 3. Select the license file that you received from SAP. If you use Enterprise Portal 5.0 without Support Package 2, you must install the license key at operating system level. Can we install New license with a Unix script instead of running transaction SLICENSE (like saplicense -install in the previous version)? No, the new ones are delivered in a digitally encypted format that is not readable by SAPLICENSE. after i installed the license and restarted the server.System says the license is invalid and the server shutdown after about half an hour,why?